The journey of a lifetime...California to Brazil...in a truck...7,000 miles on a budget...in the summer season. Just what does it take to get there? Is it possible without some trouble along the way? Stay tuned to see if this couple makes it to the end! We are in the process of starting to think about what type of vehicle we would like to drive on our trip. There are so many possibilities and prices and criteria to think about. We want something that will double as sleeping quarters. I want something that I could partially live out of for 4 months. We both want something comfortable and bigger rather than smaller. Something that doesn't guzzle gas, maybe diesel which is cheaper. A vehicle that may be more widely used down south. Parts is not always parts! Anyway, in our search, I found this and fell in love. It may not be the best choice but wouldn't it make for a great story!!! A 1964 Deluxe 21 window Mint Green VW Van! Ha, you cannot go wrong! I think Juliano will nix it but it is fun to think about. I wonder what we would name her. We are visiting 14 countries on this trip. That is a hell of a lot of guide books, which seem absolutely essential in navigating our way through Latin America. We'll need road maps, camp sites, hostels, historical attractions, what to do and not do, must see, must avoid, practical information so we don't go in totally blind. There is so much to know and plan for, unless you truly want to go vagabond style and do no prep work. Sounds a little dumb to me. Anyway, giving the number of countries, we are going to have to buy a lot of travel books.... Lonely Planet, Let's GO, Frommer's, Fodor's, etc...it seems endless. But because I am cheap...and maybe smart, I've decided instead to research, research and research free guides and information on the internet. There are sites such as Drive the Americas, BootsnAll, forums in Portuguese, Thorn Tree forum, they are everywhere and they are free. We are writing every consulate and asking for information. OK, so I am going to waste ink on the printing but I think if I can pick and choose what information we want as opposed the ton of additional information we don't need in the book, won't that also save money and trees? At the end of the day, we will have a totally tailored informational guide. 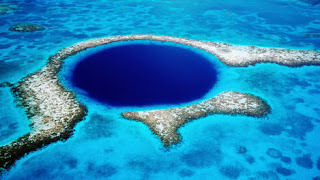 Today I am working on Belize cause it is the first in the alphabet and the smallest country. It is still a lot of work but you also run the risk of finding much more interesting information this way. Just look at this amazing photo I found online and NOT in a quidebook. I am DEFINITELY going here. I am copying, pasting, and printing to my little wanderlust hearts content. It may be burdensome but the fun is in the journey. And it is cheap. Anybody have suggestions of internet sites to visit or books they would like to loan, let us know. Video to change the world! I am getting overwhelmed with the planning....well not really overwhelmed just becoming more aware of the real focus and serious logistics this will take....not worries just aware. On top of that I am getting obsessed about this video and photo idea I had of wanted to connect with groups doing work and also document our travels in a way that could be meaningful if not useful. If nothing else, I would like to do some short videos as we go along to post for our family and friends. I'm currently looking into user generated content sites and hope we can use those as a launch pad....maybe even have a little series as we go. Two Vagabonds Do Latin America. Lonely Planet has Lonely Planet Tv which allows people on the road to upload their videos and email directly to family and friends. I am going to contact them and see if there is a market for a group of short docs about our trip, what we see, what we do, how we do it. I have a new plan; travel guides online should have a section for visitor videos specifically about that country. That is the best sort of info to have, people who have already been there!!! Shhh....can't give away my ideas. I did lots of searching today and found - thank goodness for Wikipedia - a list of all social networking sites. One such site is called OneWorld. Here is their blurb, which I know you can find on your own but I really wanted to include. It spoke to me. "OneWorld is a global information network developed to support communication media of the people, by the people and for the people — everywhere. Its goal is to help build a more just, global society, through its partnership community. OneWorld encourages people to discover their power — power to speak, connect, and make a difference — by providing access to information, and enabling connections between hundreds of organizations and tens of thousands of people around the world." They also have an online video site, One World TV, "a unique public platform for filmmakers, video journalists, NGOs and just about anyone with an interest in video and a concern for a better world". Dudes, my kind of place for those of you who know my love affair with media and telling stories of the world. I hope we will have the time to really use this while we are out there. My new goal is to find one topic, one subject, no...one question that applies universally, to ask people we meet on the road. I want to write about it, videotape it, blog post, take its picture. There has to be at least one thing connecting us all in this world....one thing we all care about the same. It makes for a great thesis.....this is my new plan....on top of visiting 14 countries, spending LOTS of good quality time with Juj (Juliano's nickname) seeing the historical site and getting our butts to Brazil before my visa expires. One of the issues Juliano and I are running into is that we want both of our families to stay updated about what we are doing. Problem is my family doesn't speak Portuguese and his does not speak English. No matter old you are, parents still have to know what is going on in your life. Fine by me. We were chatting on Skype today - don't tell the boss, discussing blogging, technology, video, etc and we ran across a Google translation service. You simply input the web link and it translates the whole site. Granted it may not be perfect but it is understandable. Vagabond translated to Vagabundos, which in Portuguese means lazybones. That is what the dictionary said anyway. Funny stuff but Diva will appreciate it. On a whole other mother subject, my mom flew off to Costa Rica this morning at 2:27 am. with students from her college, Westfield State College. She helped design an international component to the education/teacher program they have there. She gets to go for free. I mean she does deserve it after all. I asked her to make some good connections for us. She may even be there when were are there next year. One never knows. The other night, Juliano and I were going through all the countries we plan to visit on our trip. Our heads were swimming as we tried to organize who needed what type of visa for which country and so on and so forth. What do we do with the car, what sort of paperwork, how do you get a visa if you are not flying and they want an itinerary, is my passport enough? You want to see what??? My bank statement with -$0? I love Brazil's attitude about visas...quid pro quo....you demand one from me, I demand one from you. I have to go through lots of hoops just to get into Brazil. The whole visa thing definitely puts a crimp in our laissez faire attitude about time....we get there when we get there. It will be an amazing logistical feat to get this all organized....a challenge I am definitely up for. I am going to have to make an Excel spreadsheet!! El Salvador - J needs a visa before hand, I can purchase one but since we are driving, I will do it ahead of time just to be safe. Venezuela - Although I have been to Venezuela a number of times before for volunteer medical work in Barinas, it still surprises me that given the political climate, American citizens do not need visas. J is good to go as well. French Guiana - we are good here for up to 90 days, I hear they have a pristine rainforest where we can get lost! Brazil - Finally! 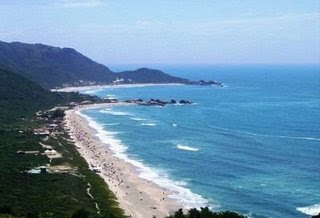 We made it but we have a long way to drive to get to Santa Catarina! There is so much information on the web, sometimes it is hard to wade through. Although I am using many lesser known but maybe more reliable for on the ground, budget traveling resources, I have to say that Lonely Planet online is an excellent place to stop. The books are nice but the web is great for quick and accurate answers. So there you have it....14 countries in say...5 months. Is it doable? I sure hope so. Stay tuned as we break it all down and start the real work...the master plan. The two most wonderful men in my life. One, I get to take with me and the other, I have to leave here. I'll miss him the most of all. One of the things I really want to investigate is the possibility of volunteering while we are traveling. 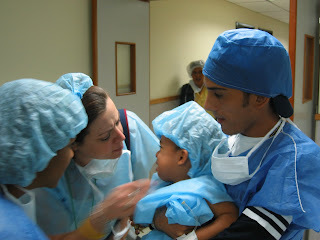 Voluntourism, as it is known, is a great way to experience local culture and people while giving back at the same time. My travel experiences mostly consist of nonprofit/volunteer work abroad. What amazing experiences! I learned so much about myself and the world. Juliano and I both love photography and plan on making that a huge part of our trip. I was/am a media person, having produced documentaries in my previous life and would like to incorporate that into our trip as well. A goal for me is to find a number of smaller organizations who might benefit from some on the ground media coverage, photos, videos, articles. We are already going to be there, why not do some good while we are at it? It has been hard thus far to find volunteering opportunities that don't also require money. You really have to look and be willing to spend a bit of time scouring lots of resources. I understand that many international groups need "fees/operational contributions" from their volunteers in order to exist and I guess people need to volunteer and donate in order to feel like they are doing their part. Sort of a conundrum for me though. I would love to find a directory of small local organizations or projects which need volunteers just to help out and don't charge large amounts. I'd sweep a school, help build a wall, take care of some children, help in a clinic. The World Walk Foundation, a medical group I've had the pleasure of working and volunteering for a number of years, has a number of programs and supports various program in the region. We definitely plan on visiting those groups. Sometimes room and board can be offered in exchange for your help. World Wide Opportunities on Organic Farms is one group I heard was a good place to start. Groups like this are also helpful when traveling on a budget as they provide room and board in return for work. There are lots of others if you are willing to scour the internet or even get on the phone or send a letter. So my goal for the next month or so is to do an exhaustive search of organizations in Central and South America who have projects that we could visit and are in need of video and photographs. J and I have also talked about video editing programs so we can create mini-docs while we are on the road. We are looking for places other than youtube to post our material. Maybe someplace that specializes in hosting nonprofit videos that nonprofits can like to for streaming on the web. Hmmm....blogging always gives me such great ideas. So if anyone reading this has any thoughts, please leave us a comment. We would probably give preference to MA and CA based nonprofits as that is home to us. Additionally, healthcare, education, sustainable community development, and sports programs hold great interest for us. If we are going to be in the world, we might as well try and help the world we are in. Como a Mellissa bem colocou, dia das mães esta chegando e então, eu resolvi postar também. O assunto a principio pode não estar muito relacionado ao blog, mas particularmente acho que tem tudo a ver. O apoio da mãe numa aventura será muito importante. Minha mãe sempre me apoiou nas minhas decisões e desta vez não ia ser diferente. Mas neste post, eu queria falar um pouco da minha mãe. Falar da minha mãe é fácil. Diva, como seu nome já diz, DIVINA, MARAVILHOSA, ou simplesmente DIVA. "A palavra é uma derivação de “divina” em italiano, que por sua vez vem do latim “divus/diva”. Era usada principalmente para definir as prima donnas da ópera, cantoras com talento extraordinário. Segundo o Aurélio, diva é exatamente isso, mas também significa deusa”. Com certeza, foi uma das minhas maiores dificuldades quando resolvi juntar as minhas coisas e me mudar para os Estados Unidos. Ficar longe dessa pessoa de quem eu admiro tanto e que tenho aquele amor especial, não é nada fácil. Um dos maiores presentes que já ganhei, foi o grande momento do reencontro, quando você veio me visitar por alguns meses. Fazendo um esforço aqui, outra ali, ela conseguiu, juntamente com meu pai, comprar a tão esperada passagem para os Estado Unidos e assim, poder nos encontrar novamente. Espero que seja a primeira visita de muitas, porque eu quero que você esteja comigo todos os dias possíveis. Mãe, eu espero que você tenha um ótimo dia das mães e que mesmo de longe, mando aquele abraço e beijo especial. Você, que tem enfrentado tantas batalhas, mas como sempre saindo vitoriosa. Eu te amo! TRANSLATION: As Mellissa said before, Mothers Day is arriving and I decided to post something as well. It may not seem like this subject is related to the blog but to me, it means everything. A mother’s support in this adventure is very important. Leaving her in Brazil was one of the hardest things to do when I decided to move to this country. To stay away from a person who I admire so much and have a special love for is not easy as a son. One of the best gifts I have received was the great moment of our reunion, when you came to visit me for a couple of months. You struggled hard, here and there, to be able to buy a plane ticket together with my dad, so we could see each other and finally hug again. I hope this is the first visit of many cause I want you to be part of my life every day. Mom, you have always been very strong in facing your battles and will end up victorious. I hope that you have a wonderful Mother’s Day and even from far away, I’m sending you a big hug and special kiss. I love you. When J and I went to pick up our Solio - today is the first sunny day by the way - and we had to pass by Gillette Stadium, home of the Patriots and Revolution. Well, neither of us had ever been to the stadium before so we decide to pull in and look around Patriot Place shopping center. We, of course, gravitated towards Eastern Mountain Sports and checked out the tents, travels packs, water filters. Man that stuff is expensive....good thing we have a year to plan. We will probably split time between camping and hosteling - definitely need to do a little more research on hostels, where, how much etc - but that is still way off in the distance. The EMS lady asked us if we were going to the soccer game....game...soccer...Juliano's ears definitely perked up and that was it. Juliano, son of Brazil, home of Pele only the greatest soccer player ever known and named Athlete of the Century by the International Olympic Committee, had not been to a soccer game in four years! Oh what his father must have thought! This is massive trauma for a sports guy. Off we went to the ticket booth to see if maybe just by a slim chance they would have some tickets for the Revolution. Well wouldn't you know it...it appears that Major League Soccer is NOT that popular in the United States and there were seats everywhere. We chose the cheaper ones but sat in the more expensive seats. No one cared cause no one was there. HA! It was a bit chilly, so I had to go buy a $15 sweatshirt at Old Navy. Man, I really wanted to stay there cause they were having an awesome sale but off we ran to the soccer game. I love spontaneous fun! The game was fun to watch, the Revs were terrible and lost, well I shouldn't say terrible since I couldn't do it but....lets say... they were off. And it rained, the whole time, we were soaked but smiling. It was most fun to watch the rowdy soccer crowd who thought they were British punks at a Manchester United game and the little boys in front with binoculars who were checking out the women behind us. All in all is was a fun, fun day. Also on Sunday was the Rio de Janeiro State Championship in Brazil between Flamengo and Botofogo. Now if you really want to see how soccer is player, watch those Brazilians. We watched it on the Brazilian Channel when we got home. Did you know Comcast charges $20 alone for the Brazilian Channel? One channel! Anyway.....Wow, was it an impressive game! And the fans?? Something wonderous to behold, all those tens of thousands of soccer fans, it is enough to make you cry....some of them did!Juliano's team Flamengo won the game and he was happy. It was fun to watch his excitement and anxiety. I hope we get to go many soccer matches up and down Central and South America and not have to waste $30 a ticket. My Mom is cool. She reads this blog and actually enjoys it. She asked me if the route for our trip was all set as in if we had a clue where we were going. I though, damn, well that would be a good thing to include in the blog. I have been withholding trip specific information partly because there is so much but mostly perhaps because we are unsure - and maybe want to keep it this way. So much of this trip - in my mind anyway - is lets throw it up in the air and see where it land. No, not lets throw up, lets throw IT up....throw caution to the wind, take the backroad - not the one with banditos - turn off the GPS and just explore the world. With that being said, I think it will make my mother and Juliano's mother much less anxious if we have SOME sort of plan. I will do my best to provide our thoughts of a rough path. 1) Baja Mexico, ferry over the Mexico proper, 2) make our way across the Mexican countryside to Belize, 3) visit a program of the World Walk Foundation ( a group I volunteer with), 4) west to Guatemala , 5) visit a doctor friend there, 6) head south to El Salvador , which I sort of missed in my fabulous map making, 6) 0ver to Honduras, my cool mom volunteered in a bilingual school there, 7) down through Nicaragua to Costa Rica, some R and R and 8) then to Panama and Boca del Toro. From there we will have to head to South America by boat if we want to continue to drive ...but that will have to be tomorrow cause just explaining our CA trip made me tired. Where is the Solar in Solar power? So J and I got our Solio solar charger! We actually purchased it from a guy in Wrentham. We figured since this is all about recycle, reuse, restore - or whatever it is - we might as well buy one off of someone else. Turns out he had never used it and we got a good discount. Here we are, a year and a half out from our trip, with our Solio , driving down the road so excited to charge something, anything, phone, ipod - and the sun is nowhere to be found. Hasn't been around for days. No Solio charged from the sun, only the wall socket, which seems to defeat the purpose. Isn't that just a kick in my recycled pants? Mellissa - Grew up in small town Tennessee but knew she’d never stay. Her parents traveled the world for two years before she was conceived, so the world is in her blood. A former documentary producer and non-profit junkie, she paid off all her credit cards and free from that burden, decided to quit her good job and go have the adventure that would not take no for an answer. She speaks a little Spanish, just enough to get by. Juliano – Grew up in Santa Catarina, Brazil with a love of punk music, long skateboards and the beach. An avid photographer and soccer fan, he came to the U.S. for an adventure and now it seems he has found one...or two. Funny thing, he had to leave Brazil in order to find himself. 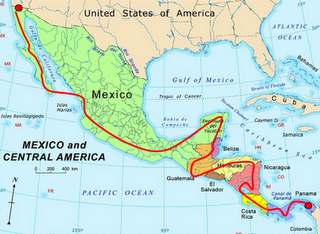 He is taking the long way home, driving through Central and South America. He is also a very good driver. 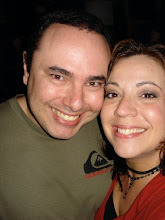 The Couple – Mellissa and Juliano knew each other for a little over three years before they got together. She says he always had a crush on her…sometimes he agrees…with a grin. After five months of wooing and many date offers, Mellissa finally accepted. They soon discovered that they are the best thing to happen in the each other's life.